This Crystal Clear classroom tray storage unit is available with 12 and 16 variety Certwood trays in mixed sizes. 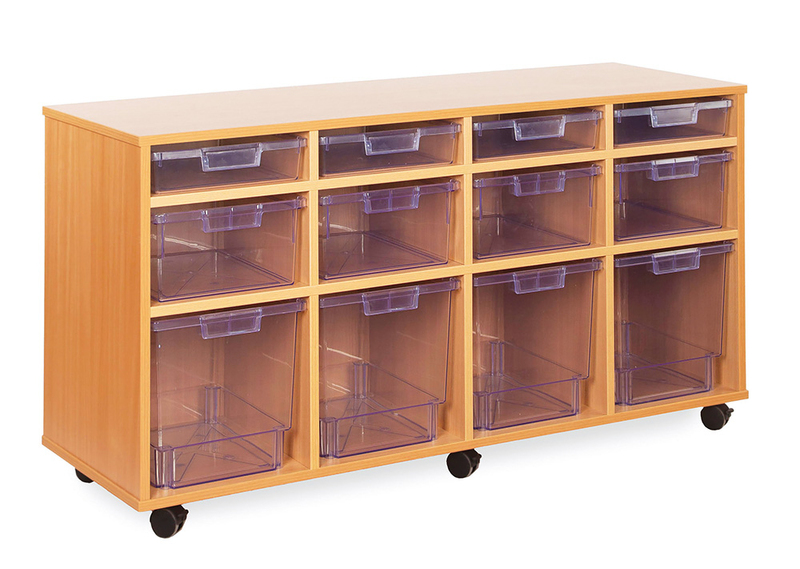 Designed for use in schools, pre-schools and nurseries for storing everyday classroom materials. The 12 variety tray storage unit comes with 4 shallow, 4 deep and 4 jumbo school trays. The 16 variety tray comes with 4 shallow, 4 deep and 8 jumbo trays. 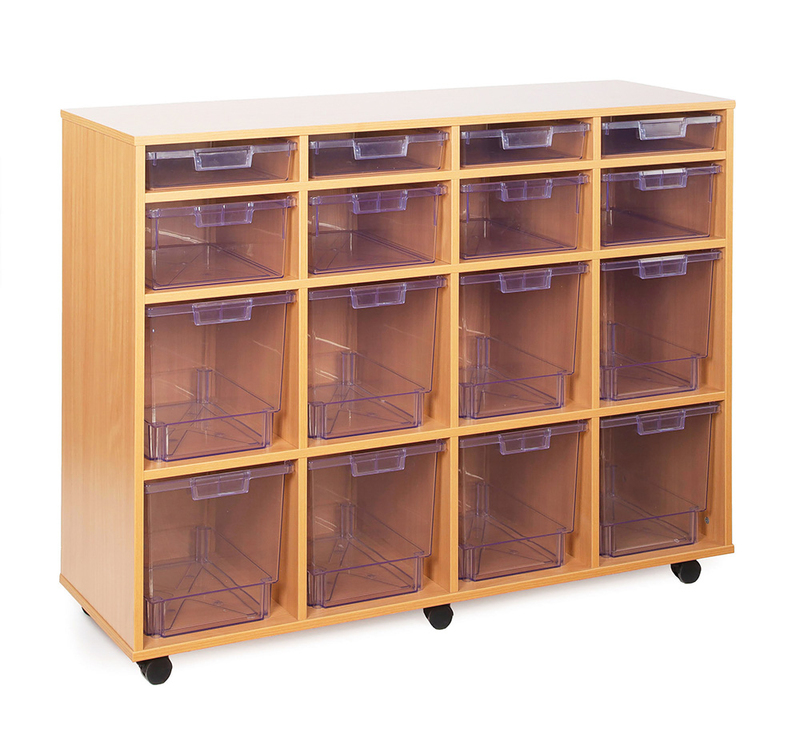 The school tray storage unit is constructed from 18mm durable MFC in a modern beech finish and supplied with the shatterproof, high impact Certwood crystal clear deep trays.